While walking through the 2010 SEMA event in Las Vegas we were literally stopped in our tracks by a modern day work of art. At first glance we thought we were looking at a wonderfully restored 63 split window coupe. Upon closer examination the silver beauty was in reality a brand new C6 that had been miraculously transformed into a mid year classic. After the gawking and after all the ooh’s and ahh’s were finished Mark Wittry, a sales rep. from Karl Kustom Corvettes came over to greet us. Mark gave us a grand tour of this modern classic. The Mid year C2’s have always held a special place in the mind and hearts of Corvette enthusiasts. The C2 is the car that we all wanted when we were teenagers. It was designed to be a sleek, powerful and of course a babe magnet. The problem was that few of us could afford the price tag back then. Take heart fellow “baby boomers” because the dream car of your youth is now an attainable reality. 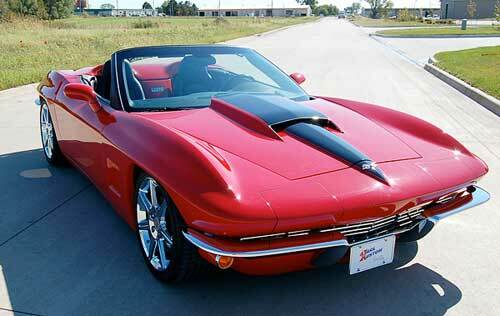 Karl Kustom Corvettes is located in Des Moines, Iowa. They are affiliated with Karl Chevrolet a dealership that has been in business for over 30 years and is one of the Midwest's largest Corvette dealerships. Karl Kustoms mission is to construct classic cars like the, 1963 split window coupe and the 1967 roadster while at the same time offering the comfort, power and engineering of a C6. Mark explained that the cars that his company produces merge the classic look of a C2 with the engineering of a C6. A classic mid year is a work of art but 45 year old technology leaves a lot to be desired. 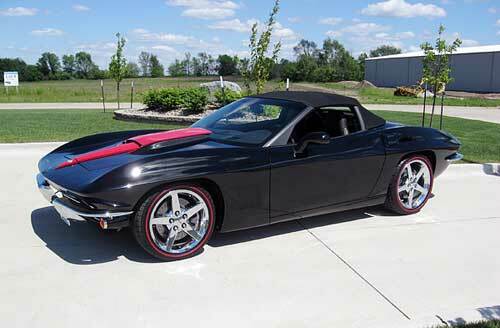 The Karl Kustom Vette delivers both C6 comfort and classic Corvette style in one amazing ride. The modifications utilize hand-laminated fiberglass with a high-tech vinyl ester resin to shape and mold the body panels. The custom body panels are merged with OEM side mirrors, rocker panels and fuel door. 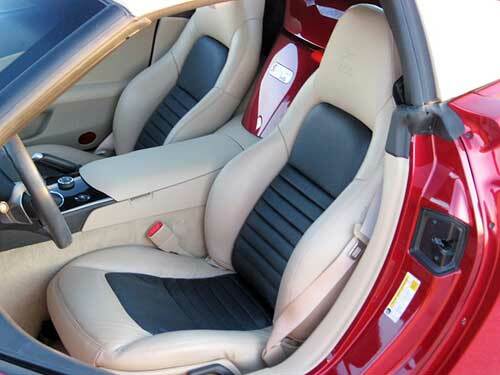 Each custom Corvette includes the advanced engineered hinges, latches and weather seals of a modern C6. Karl Kustom Corvettes builds two customized Corvettes, the 1963 Corvette Split Window Coupe, and the 1967 Corvette Roadster. Every customized Corvette is covered under the GM factory warranty. 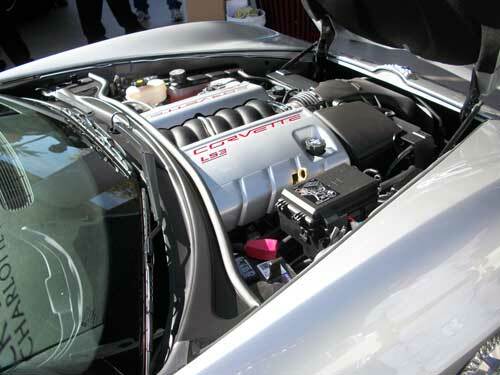 The power train, chassis, interior, and electronic components of Karl Kustom's Corvettes are factory C6. Karl Kustoms mission is to construct classic cars like the, 1963 split window coupe and the 1967 roadster while at the same time offering the comfort, power and engineering of a C6. 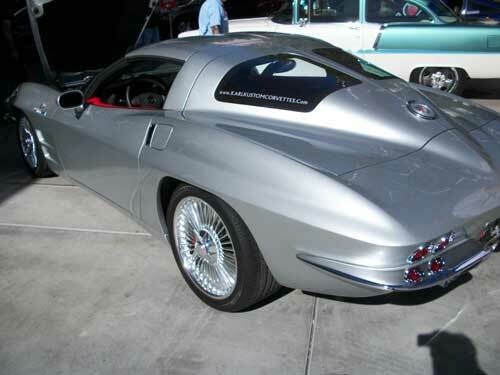 Mark stated that his company prides itself in both quality and workman that go into the making of a Karl Kustom Corvette. 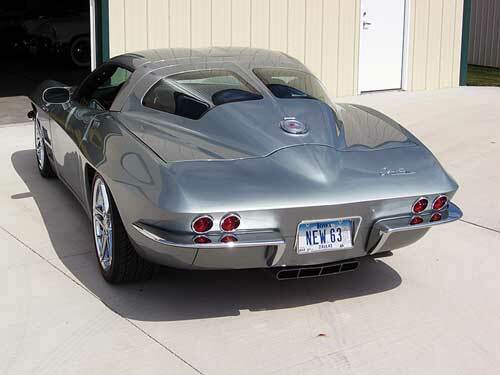 The 1967 Corvette Convertible bumpers are made from steel and are triple plated and fit to modern standards. Grills are hand-fabricated using Billet 6061- T6 aluminum material. Factory door frames are retained and the new body panels are reattached to the platform using modern epoxies and factory-equivalent fasteners. The drive train and mechanicals are all factory GM stock. Karl Kustom redesigned the Roadster’s tonneau lid to match the 1967 Corvette Convertible body, yet maintained the convertible fit and function of OEM power-top sequencing and operable trunk. Each customized 1967 Corvette Convertible is built to your individual taste. Karl Kustom offers finished cars in inventory or can customize the car with your choice of color. The typical conversion can be done in about ninety days. All conversions maintain the full GM factory warranty. Karl Kustom can convert your 2005-10 C6 into a mid year classic for about $90 grand. For another $30K the dealer can supply a Pre-owned car for the conversion. The price is very competitive considering the level of engineering, detail and glamor that this this modern classic offers.